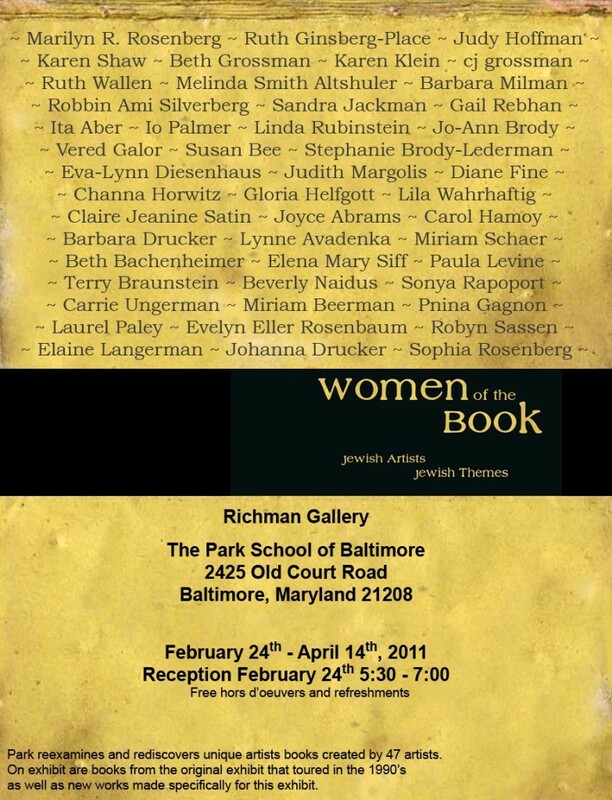 “Women of the Book” is an exhibition of books by Jewish women at the Park School, a private preparatory school outside of Baltimore. At first glance, the show is a bit of a puzzle. 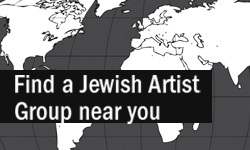 What is a fairly major show of Jewish art doing in a non-Jewish school ten minutes from a large Jewish community? The show’s curator, Rick Delaney, helped contextualize the project. For thirty years, Park School has boasted an impressive exhibitions program on par with a small college. The exhibition “Women of the Book: Jewish Artists, Jewish Themes” was originally curated in 1997 by Judith Hoffberg, an independent curator, librarian, and archivist. Delaney had met Hoffberg when the original show was being installed at Missouri State University in 2000. As exhibitions educator at the Park School, Delaney worked with Hoffberg to recreate the exhibition. Sadly, Hoffberg passed away in 2009. The show is dedicated to her memory. Having originally been developed in the mid-nineties, many of the themes are those of my mother’s generation. The desire to document the memories and experiences of the holocaust figures in about a third of the work: parents as holocaust survivors, assimilation, anti-Semitism, and post-holocaust cultural identity. With that caveat, the exhibition functions well as a portrait of a generation (and not just of a Jewish generation). The exhibition’s most predominant cultural ideology is first wave-feminism, not Judaism. Books that take liturgy and Scripture as their subject matter, like Sophia Rosenberg’s “Lillith Scroll”, or Johanna Drucker’s “Testament of Women” address themselves to the difficulties of Jewish patriarchy. Particularly apropos of the exhibit, Carrie Ungerman’s “…and a still small voice,” deals with the traditional exclusion of women as scribes. Another theme within the exhibition centered on family. Within this category, I found that the works with tight visual focus were the most compelling. A great example was “Dyed and Parted,” a series of family portraits comprised of closely cropped photographs of the awkwardly parted and dyed hair of elderly relations. Another was “Lila’s Room,” a panoramic view of a teenager’s room. Both works were circumspect, moody, idiosyncratic and powerful. The exhibition’s other ideological lynchpin is faith in the ability for narrative and textuality to generate meaning. Sure, the power of books is a Jewish idea, but it is also a broadly popular post-structuralist belief. That these women are Jewish, or “of the book” makes their work particularly good, but certainly not unique examples of art that arise from the struggle for gender equality and the politics of identity. Ultimately, the gap between the show’s inception and this installation—about fifteen years—is too short a period for the book on display to be considered historical, and too long for them to be entirely current. Can’t see the show? 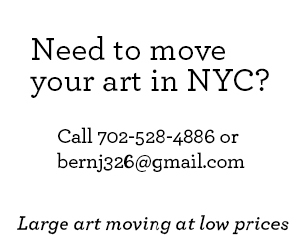 Download the catalog.